Oatmeal chocolate chip coconut lactation cookies are a treat for breastfeeding mommies! Brewer’s yeast, flax seed, and oatmeal are the special ingredients. The cookies taste yummy too! Hey, all of you incredible breastfeeding momma’s out there, this post is especially for you! For Mother’s Day, I thought this would be an awesome time to share with you a recipe for lactation cookies, what?!? Yep! Cookies especially made for mom’s who are still breastfeeding their little ones. Last year was undeniably all about babies with many of our close friends growing their families, super fun! I’ve been so blessed to have the most amazing women in my life. My dear friend Tekoah had her gorgeous daughter Siaana just a few weeks before James. We shared experiences and tips throughout our mommy journey together. Tekoah is a culinary and fitness guru and has given me great advice on homeopathic ways to increase milk production. She recommended trying fenugreek supplements (which totally worked for me) and also baking some lactation cookies that had helped other moms. Each month I’ve been noticing my milk production decreasing since I started working full time again. Now that James is eating more solids, its honestly been hard for me to see my supply drop with each passing month. When I found out there was a chocolate cookie with added milk-producing benefits, I was determined to do what I could to keep things flowing! Did you know that cookies could be so yummy and help with lactation? Yes, and I am totally in! So what ingredients make these cookies extra special? What I was able to find as I searched for information on the internet was that ingredients such as oats , flaxseed and Brewer’s yeast help with milk supply. The combination of these three ingredients provides a nutritional punch in each cookie. Oats contain whole grains, fiber, vitamins, and minerals. Brewer’s yeast stimulates the increase in breast milk and is a source of B-vitamins and amino acids. Flaxseed contains healthy omega-3 fatty acids and fiber as well. 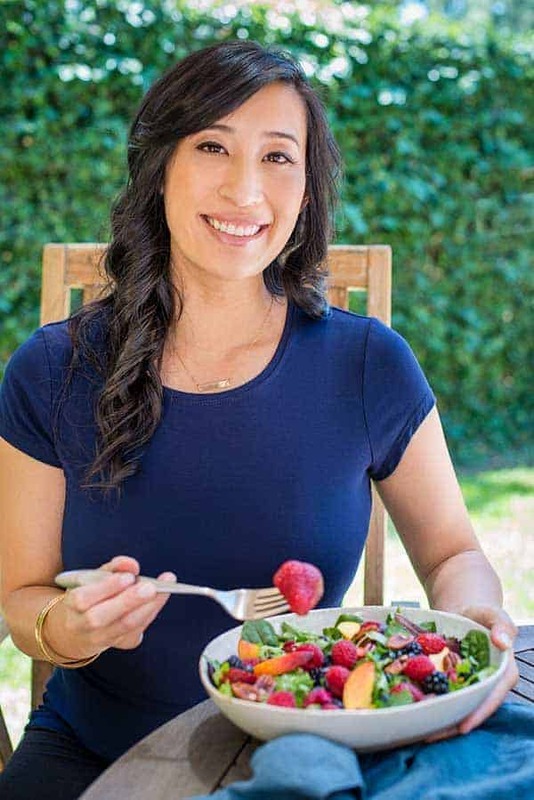 I was able to find all of these ingredients at the local health food store such as Sprouts Farmers Market or Whole Foods Market. Like any delicious cookie, I added butter, brown sugar, cinnamon, nutmeg and flour for the base. However, I used a white whole wheat flour (my new favorite baking ingredient) to get more whole grains into each cookie. I’ve found that they give a more similar texture to all-purpose flour that you can use instead, compared to whole wheat flour. I chose to make chocolate chip coconut flavored cookies because it was a special request from my cousin Melissa who was coming to visit. I wanted to make her some delicious lactation cookies as she has a four-month-old adorable son named Lucas (I love him!). The most intriguing ingredient in these lactation cookies has to be the brewer’s yeast. Since you have to add a good amount, about 2 tablespoons per batch, there is a very slight lingering bitter flavor. Although it’s nothing that prevents you from enjoying the cookie, especially with the chocolate chips, coconut, and the lactation benefits! The even sweeter deal is that my husband is afraid to eat them, even though I don’t think anything would happen to him (if you know what I mean) but at least I don’t have to share, muahaha! This recipe gives new meaning to milk and cookies! After I made my first batch and ate these cookies consistently for about a week (about 3 throughout the day), I personally noticed a slight increase in my supply (a few ounces), which is huge knowing how hard your body has to work to produce each drop. I really enjoy providing nourishment for James and wanted to breastfeed at least for a year, so it’s exciting to try a natural way to help increase my milk supply. Make these delicious cookies for yourself or mommy friends, it’s an enjoyable treat! Oatmeal chocolate chip coconut lactation cookies are a treat for breastfeeding mommies! Brewer's yeast, flax seed, and oatmeal are the special ingredients. The cookies taste yummy too! In a small bowl stir together the flax and water, set aside. In a large bowl, use an electric mixer to cream together the butter and sugars until smooth. Add the egg and vanilla and beat on high until creamy. Stir in the flax mixture. In a medium-sized bowl, lightly whisk together the flour, yeast, baking soda, baking powder, salt, cinnamon, and nutmeg until just combined. Sprinkle the flour mixture over the butter mixture and mix on low speed until just incorporated. Fold in the oats, chocolate chips, and coconut flakes. Scoop 2 tablespoons of dough into rounded mounds and place on a baking sheet lined with parchment paper. Use your fingers to flatten the rounds slightly, pressing down more if you like the cookies flatter. Sprinkle with chopped coconut flakes and extra mini chocolate chips (if desired). Bake cookies in the center part of the oven at 350°F for 8-10 minutes or until the edges are golden. After 2 minutes, transfer cookies to a wire cooling rack. Some moms have told me the recipe makes about 14 to 16 bigger cookies. You can get 24 smaller cookies if you level the tablespoon when measuring. Bigger cookies are always good too! Thank you for being honest and including that there us the lingering bitter taste due to the brewer’s yeast. I made other people’s recipes that were claiming to be the best cookies ever and I was very surprised with the taste. So thank you for being honest. I will be making this recipe tomorrow and using chocolate morsels for the extra chocolate. I made these yesterday and they’re the best lactation cookie recipe I’ve made yet! I’ve made two other recipes that were too dense. This was more cookie-like. Based on what I had in my pantry, I did half all-purpose flour and half whole wheat flour. I only use regular sized semi-sweet chocolate chips. I also tossed in about 1/8 cup chopped pecans. I did press them down a little before baking, but they did slightly round out and spread just a tiny bit. Thanks for the great recipe! Hi Diane! I’m so happy to hear that you liked the recipe, your substitutions sound delicious! I definitely ate many of these when I was nursing my son, gotta find ways to make it enjoyable for mommy too! Hi Lexey- Thanks for the great question! I haven’t made these into bars before, but I would suggest the following: Double the recipe since your pan is pretty large. If you have an 8X8 pan, that may be better for the original batch size. Spray the pan with cooking spray, spread the batter to an even thickness, top with more chocolate chips and coconut. Bake at 350F for at least 10 minutes, then check every 2 minutes or so until a toothpick comes out with just a few moist crumbs. These cookies are a little more dry than normal cookies with all of the lactation ingredients, so don’t over bake. The edges may turn golden brown, but try to shoot for a more just cooked appearance on the surface. I’ve seen in other recipes that bars take around 20 minutes or more. Let the bars completely cool in the pan before cutting. I would love to hear how these turn out for you! Let cool 1 hour before cutting into bars. I made these as bars yesterday for the first time. (Love as cookies but wanted to try something different) I double the recipe and bakes for about 15 mins. Now we’re done, but a little chewy. If you want a firmer bar I’d go at least 17 mins if not 20. I did check often after the 10 min mark like suggested, just didn’t want to over bake them! Loved the recipe. I have insufficient glandular tissue and with the help of supplements and some lactation cookies have been able to increase my supply enough to produce half of what my three month old needs. Thanks for the recipe. I used 1/2 cup oat flour and 1/2 cup white flour. I added walnuts as well. So happy to hear you enjoyed the recipe Rebecca! That’s amazing that you were able to increase your supply. The walnuts sound yummy! 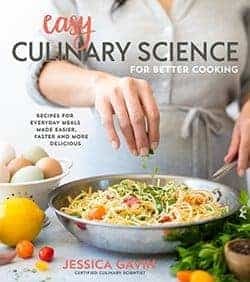 Hi Jessica,would like to find out 1/2 cup is equal to how many grams? Wow! That’s really a useful chart. Thank you for sharing. 🙂 Can’t wait to bake the cookies. No problem, thanks for the great question Jocelyn! Just made these cookies, hoping to increase my production. They are much better than the recipe provided by my friend! I took your advice and also added dried cranberries to counter the bitterness of the brewer’s yeast. I also substituted ground fennel seed for the flax seed since it’s what I had from my previous recipe. It made for a very tasty cookie, also very hearty, which I need since I have zero appetite and have to force myself to eat! Thanks for a great recipe. FANTASTIC!! I healthy-fied these and also made them gluten / dairy free but used your recipe as a base and they taste amazing. Seriously great recipe – thank you so much!! That’s awesome lifetravelfood! Nice modifications, I’m so glad you enjoyed them! 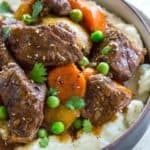 Silly question- i baked a very similar recipie today using steel cut oats and the oats didnt taste cooked eough for only baking about 12 minutes. Are the oats supposed to be cooked before adding them to the mixture or are they supposed to be dry? Hi Amanda- Great question! My recipe utilizes rolled oats, so they absorb more water, cook quicker and have a less chewy mouthfeel when cooked than steel cut. From the recipes I’ve read, it looks like many of these cook the steel cut oats first, then add them to the recipe. Typically steel cut oats need 20-30 minutes to cook with much more water required for cooking than rolled or instant oats. I would try cooking the oats, then adding 1:1 the amount of oats called out in the recipe. I think that since you are baking for only 12 minutes, and the oats don’t boil long enough in the cookie to become soft, you get those chewy bits. Let me know how it turns out! I have been looking at many recipes fof lactation cookies and yours sounds great, however, I have a hard time finding brewers yeast. Can something else be substituted for it like fenugreek? If so, how many capsules should I use? Fenugreek has a very strong herbal flavor, not so yummy in a cookie. If you cannot find the brewers yeast I would recommend omitting it from the recipe. I would take the fenugreek as capsules separately so you can have the benefit if the cookie and the fenugreek. Please let me know if you have any other questions, I’m happy to help! Thank you so much for your reply. I will try the recipe without as, even though, there is a whole foods store in the city I live in, it is hard for me to get there without a vehicle. i will definatley try this recipie however i wish to know if i dont get the brewers yeast will it still stimulate the milk production and can i use dill and fennel seeds at the same tiime? Hi MAryAnne- Haven’t tried the recipe without the brewer’s yeast so I do’ know if it will reduce milk production. There is still oats an flaxseed that could help. Do you mean add the dill and fennel to the cookie, or as part of other recipes? I’m not sure if eating those will affect milk production. Great questions! Congratulations Stephanie on your bundle of joy! I loved treating myself to these cookies when I was home with my little one 🙂 That’s a great idea to add the fenugreek and more chocolate, you deserve it! Yay Lindsay! I am so thrilled to hear that you enjoyed the recipe 🙂 Have you tried switching up any of the flavors? I’ve even added cranberries and white chocolate to a few batches. This recipe is delicious! So much better than the store bought lactation cookies. Do you happen to have the nutritional information for these cookies? Hi! I love these cookies so I decided to double the recipe and was wondering if they keep well frozen or in the fridge to make them last longer? Also how many should be eaten to help increase my milk supply? Hi Trish! I’m so happy that you enjoy the cookies! Yes, you can individually wrap them in the freezer and place them in a resealable plastic bag. Take them out to defrost or you can microwave for a few seconds to reheat. I’m sure you could refrigerate them as well. I would keep them for about a week in the fridge and a month in the freezer. I don’t have an exact number of cookies to eat to increase supply, but I would usually eat about 2 a day. I hope that helps! I just made these but using 2 tablespoons per cookie i did not have enough dough for 24 cookies. What did I do wrong? Hi Vanessa! How many cookies did you yield? Did they bake up okay? Great question Stef! I think you could definitely portion out the dough, let it come to room temp or at least so you are able to press them down and then bake. You could also bake, freeze and defrost or put in the microwave for a few seconds so it’s nice and warm 🙂 When is your due date? So exciting! Can I use oil instead of butter if so how much should I put. Hi Sarita, great question! I have not substituted oil for butter but you can certainly give it a try. I have melted butter for chewy chocolate chip cookies, so I would guess that the texture may change (more chewy), but I think it’s worthwhile to give a try. If you are using canola oil try 1/3 cup instead of 1/2 cup of butter. If you are using avocado oil use 7 tablespoons instead of 8 tablespoons butter (1/2 cup). Make sure the oil and sugars are combined well before you add the eggs and other ingredients. Let me know how it turns out! Hi Jessica,I used 1/3 cup oil and I use some Hempseed too. It was great.Thanks for the nice recipe.Its very tasty thanks once again :). I am sooo excited about these cookies!!! I’m not sure if they are going to help with my milk production,but I am very hopeful. I just finished baking my first batch, I followed the recipe as is other than a few small things. I didn’t have butter so I used 1/2 cup coconut oil instead. Coconut oil can be substituted for butter or veg. oil in any baking recipes 1:1 meaning 1tsp butter/oil=1tsp coconut oil. I took your advice and added 1/4 cup dried cranberries, and 1/4 cup extra chocolate chips. I also only used one type of chocolate chips instead of some mini ones. They aren’t bitter at all, I absolutely love them!!! My husband who doesn’t like coconut or cranberries has already eaten 3 of them, I’m gonna have to hide myself some before the kids find them!!! the recipe only made 15 cookies, but they are pretty big!!! Thank you so much. I love these cookies!! OH and a side not if for some reason u only have self rising flour you can simply remove the salt and baking powder from the recipe and it will turn out just the same! Whoo hoo! You are so welcome 🙂 I am definitely enjoying them now as I’m feeding my daughter. Love the addition of the cocoa! These are my FAVORITE lactation cookies!They are so easy and can be versatile! I usually omit the chocolate and coconut and add raisins! Just made a new batch using craisins and almond slivers! Works every time!! Thank you!! I’m so thrilled to hear that you enjoy these cookies Shay! Great combinations you have going, I’ll have to give it a try! My brewer’s yeast just arrived today and I’m excited to try this recipe! I have to make these dairy free because my little guy has a dairy intolerance. Do you know if applesauce can be substituted for the butter?Thanks! Yay Sara! I’m never substituted applesauce for butter in cookies before. I did a little researching and it looks like you could replace all, or do just a 1/2 replacement however the texture will be more cakey, dense and chewy. A little bit of oil with give it a little more crisp edges. Creaming the butter and sugar together aerates the dough making it less dense and providing a more crisp and chewy texture. I would love to hear what you decide to do and how it turns out! Thanks for the info, Jessica! These cookies are delicious! I ended replacing the butter with applesauce and coconut oil (1/4 c each). I also chilled the dough before baking because I was worried the oil might make them flatten out more. They did turn out a little bit cake-like (soft and chewy instead of crispy) but still very tasty. They didn’t flatten out much at all so next time I think I might just try all oil instead of the applesauce. Thanks again! I’ll definitely be making these more often. Yay Sara! Thank you for sharing your cookie results 🙂 I”m so happy that you liked the flavor. I’ll have to give those substitutions a try! I always flatten the cookie dough a bit before baking because it doesn’t spread much. These cookies are delicious! I only pump after she nurses in the morning and at night before bed and have gotten an extra bed unce each time. Thank you so much Jessica. I’ve shared your website with the moms in my breastfeeding group as well. These cookies are delicious! I only pump after she nurses in the morning and at night before bed and have gotten an extra ounce each time. Thank you so much Jessica. I’ve shared your website with the moms in my breastfeeding group as well. Thank you Jessica! Wow, that’s so great to hear that you were able to produce more milk 🙂 Thank you for sharing with other fabulous mommies! Hi Lindsay! I have not tried using quick oats, but you can certainly give them a try. Since they are finer cut pieces of rolled oats, I’d imagine the cookie would have a less hearty and chewy texture from the large flakes of oats. Please let me know how it turns out! I absolutely adore this recipe, I have been making batch after batch for friends for a year or so now. I do use spelt flour instead of wheat which works really well, and I also sub the sugar for coconut sugar. But it is a great recipe and everybody loves them! Hi Ami, great question! I found a great basic starting guideline after doing some research. The recommendations are to increase oven temp by 15-25 degrees to set the cookies before they overly expand or dry out, so 375F. Also check the baking time earlier since you are increasing the oven temperature. It’s also recommended to increase by 1 to 2 tablespoons water at 3,000 feet, increase by 1 1/2 teaspoons for each additional 1,000 feet to help prevent the cookies from drying out. To help strengthen the structure of the cookie you could also add more flour; at 3,500 feet, add 1 more tablespoon per recipe. For each additional 1,500 feet, add one more tablespoon. I believe Colorado is about 6800 feet in elevation? Let me know if this helps and how it turns out! Can a pregnant woman eat these cookies ? or should i just wait til after birth ? Hi Alexis- Congrats! Very excited for you 🙂 I don’t see why you couldn’t eat them before you have the baby, but if you are unsure I would check with your doctor. Hi Jessica! My daughter is allegric to egg and i substitute it with anything else or completely eliminate it? Who it make a difference? Hi Franciaca- Yes! You can double the amount of flaxseed meal and water (2 tablespoons flax and 1/4 cup water) to make flax egg instead of real egg. Omg!!! The best chocolate chip cookie ( as healthy as it is) I’ve ever had so far. Works wonders, tastes delicious. Instead of butter I used extra virgin coconut oil- just to let you guys know. Thank you for the recipe. Made a batch recently for my daughter who is feeding twin boys 🙂 🙂 and was pleasantly surprised at how delicious these cookies are! Dau is not a chocolate fan so I substituted raisins. Thank you so much for this recipe, Jessica! I just made these and substituted the sugars with coconut sugar and whole wheat flour. Came out great and soft and chewy. I found a debittered brewer’s yeast @ Sprouts & it made a BIG difference in the taste. I actually enjoy eating the lactation cookies now. Thanks for the tip, that’s great to know they is better tasting yeast!